A child has died following a horror crash involving three vehicles on the M61, say police. The incident happened at around 10.30pm on Monday 23 January half a mile before Junction 9. A Renault Clio travelling southbound was involved in a collision with a VW Sharan travelling in the same direction. A Volvo HGV also travelling southbound then collided with both vehicles, say police. 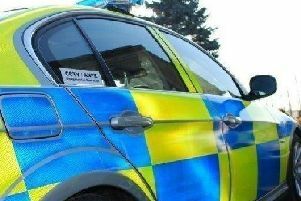 A rear passenger in the VW Sharan, a girl aged 11 from the Greater Manchester area, suffered serious injuries which sadly proved fatal at the scene. The driver of the Sharan, a man in his 40s from Greater Manchester, also suffered serious injuries and is currently in a critical condition in hospital. Three other passengers from the Sharan suffered less serious injuries. Fire services from Preston, Bamber Bridge and Penwortham were called to the scene to assist in cutting free occupants from the car. The occupants of the other vehicles were unhurt. A police investigation into the collision is on-going and specially trained officers are supporting the family. The motorway was closed for over seven hours while recovery of the vehicles and investigations took place. Sgt Dave Hurst, from the Road Policing Unit, said: “This was a horrendous collision in which a young girl has very sadly lost her life. Anyone with information should contact police on 101 quoting log number 1454 of January 23rd. The motorway reopened at around 6.30am.